Plantronics CS540 ! !BRAND NEW BEST UK PRICES!! Why Buy Old Refurbished Graded Models ? The Plantronics CS540 headset is setting a new standard for wireless desk phone communications and replaces the popular CS60. This is the new convertible headset the lightest DECT headsets on the market featuring streamlined design improved performance and the same great reliability. It offers hands-free productivity up to 120 metre away from your desk and great collaboration options. 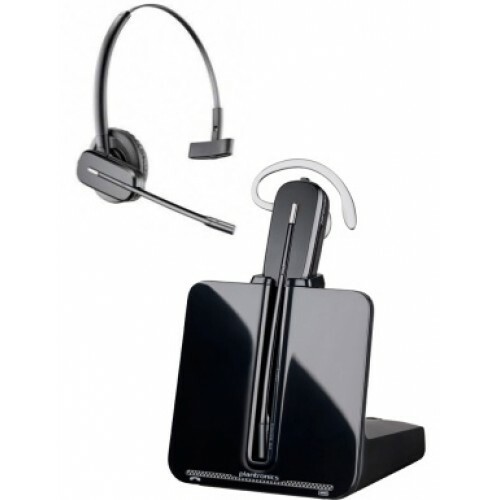 Pair your headset with any base by simply docking it or add up to three additional headset wearers into your call. Switch between narrowband audio to maximise battery life or wideband professional-grade audio to enable clearer conversations. Experience outstanding wideband audio quality and style like never before. Hands-free mobility to enable easier multitasking. Wireless range of up to 120 metre. Use with Electronic Hookswitch Cable or Handset Lifter to remotely answer and terminate calls. Volume and mute audio controls at your fingertips. Adaptive power system delivers longer talk and standby times. Choose narrowband mode to preserve talk time or wideband mode for clearer conversations. 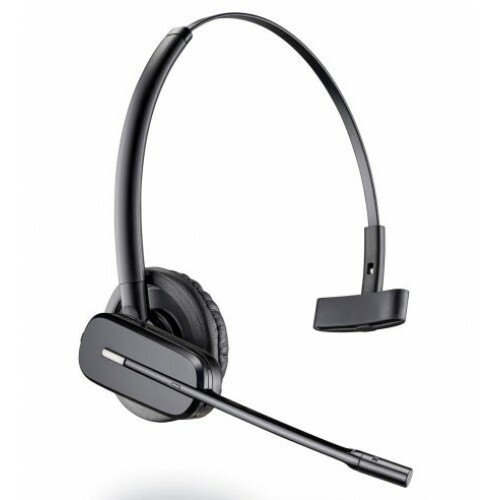 Conference-in up to three additional CS500 or Savi ® headsets. Simply dock a headset to link it to a base. Auto-answer option lets you answer and terminate calls by removing headset from or replacing it to base. Up to 9 hours talk time on a single charge (CS510/ CS520). 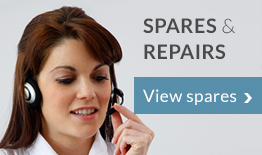 Backed by Plantronics industry-leading global service and support. Product overview: The HL10 Remote Handset Lifter is the perfect accessory for your Plantronics wi.. Product overview: Electronic Hook Switch Cable for remote desk phone call control (answer/end) 38.. 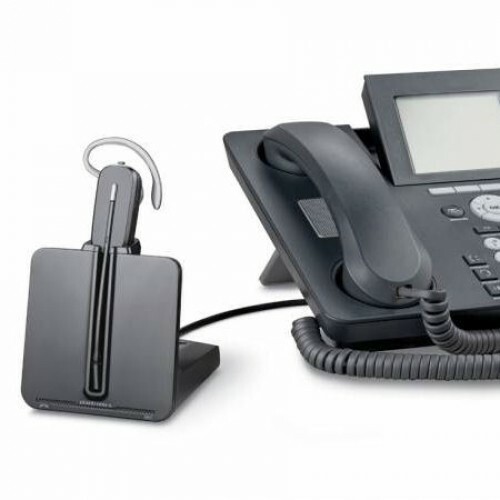 Product overview: Electronic Hook Switch Cable for remote desk phone call control (answer/end). T..
Communicator Ranger Office Universal 150m Range SPECIAL - LAST AT THIS PRICE! 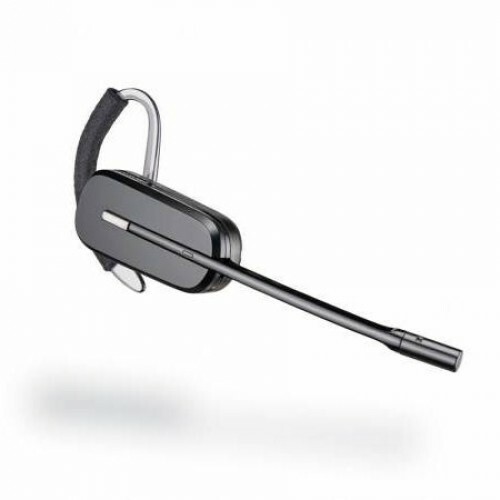 Product overview: The Ranger Office is an incredibly versatile wireless DECT headset. Ideal for u.. Product overview: The Ranger 400 Dual Connect is the latest wireless headset in the Co..